If you are having troubles placing an order using the shopping cart. 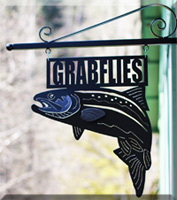 You can email Jeff Layton at Grabflies, and I'll put your order together and email you back an invoice that you can make a payment with online. Please fill and out send form results to us, we'll reply ASAP.